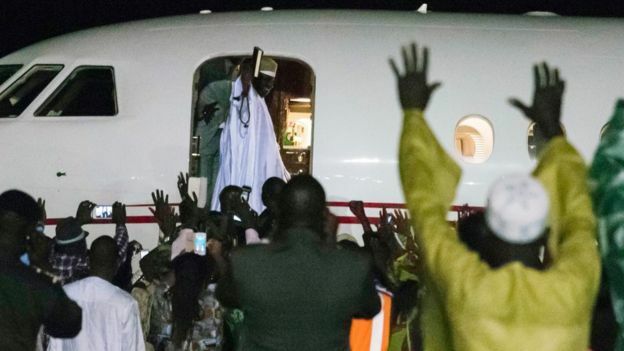 Gambia's former President Yahya Jammeh has left the country in the wake of elections that ousted him after 22 years in power. Mr Jammeh was defeated in December's election by Adama Barrow but went on to challenge the results. 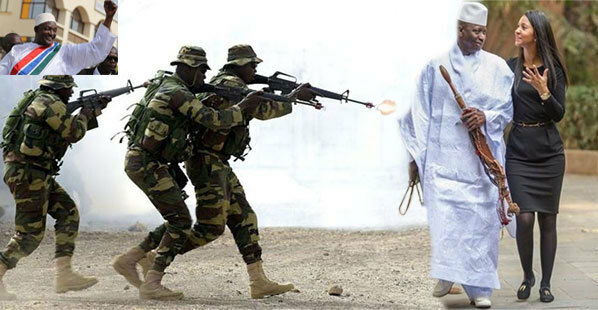 In an interview with the BBC, Mr Barrow said he wanted to create a truth and reconciliation committee to investigate allegations of human rights abuses during Mr Jammeh's time in office. After 22 years in power, he left bound for Guinea where it's believed he will stay before going on to another country. Soldiers, supporters and dignitaries were emotional as he left - many of them crying. The details of the arrangements made - or promises offered to persuade Mr Jammeh to give up power peacefully are not yet known, but there was the real threat of military action from regional states. 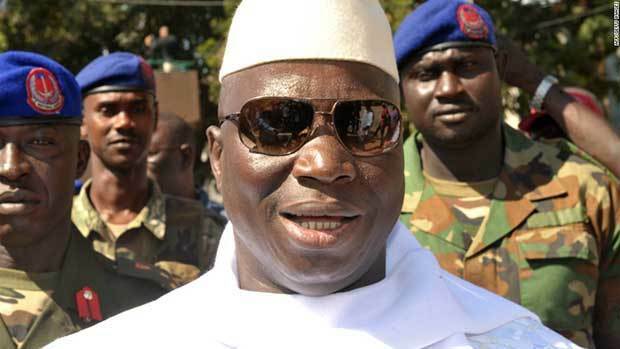 He's the first president to peacefully hand over power in The Gambia since independence from Britain in 1965. 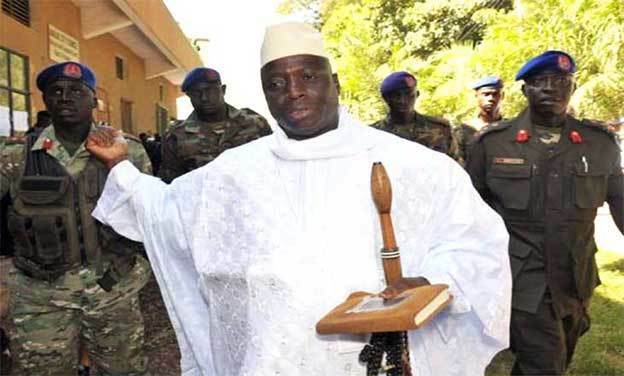 Mr Jammeh's decision to quit came after talks with the presidents of Guinea and Mauritania. 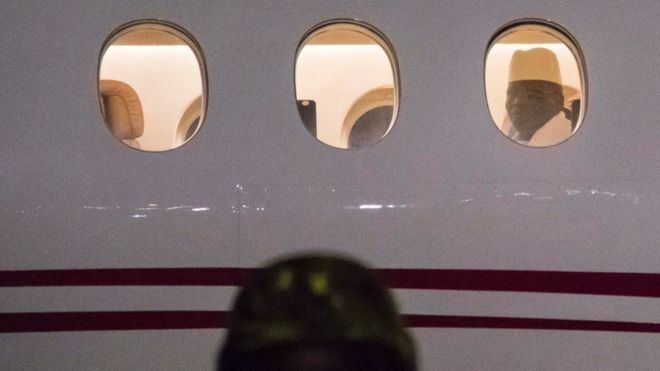 Guinea's President Alpha Conde was with Mr Jammeh and his wife on the plane that left Banjul late on Saturday. 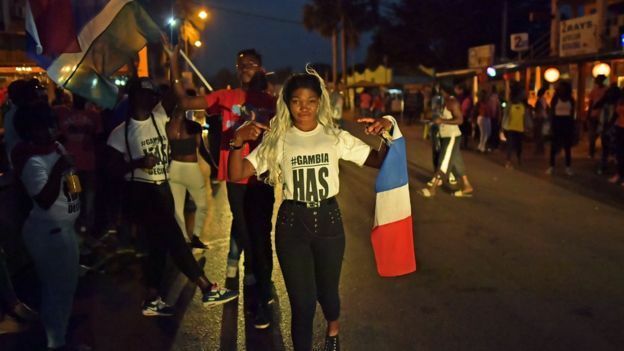 In an address on state television, Mr Jammeh, who had once said he would rule The Gambia for a billion years, said he would stand down and that it was "not necessary that a single drop of blood be shed". 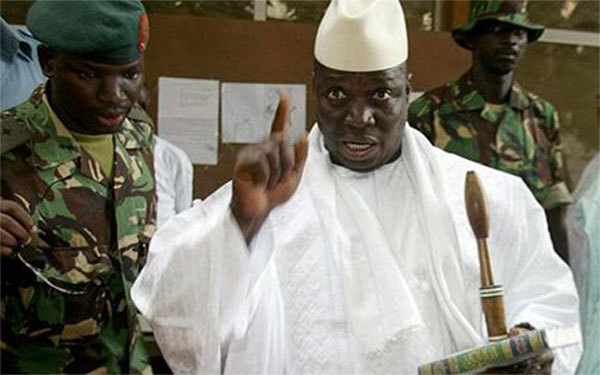 Mr Jammeh had at first accepted defeat in the election but then reversed his position. He declared a 90-day state of emergency, blaming irregularities in the electoral process.